Under-performing employees will hurt your organization. Unfortunately, it seems to be prevalent everywhere. Yes, a major quandary for managers is to bring out the best in their employees. Every manager wants to do it, but it’s not always easy. What’s the reason? Usually, it’s because employees are disengaged – disconnected from their managers and companies. 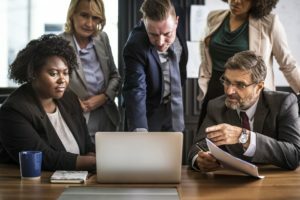 However, there are techniques in management that will solve the problem of employee disengagement; and they don’t cost anything but your effort. Employees will be more likely to follow you, if you set the right tone. That means making sure you manage in an even-handed fashion with exemplary ethics. Many managers think they can take shortcuts and get away with it. Not true. It’s important to play by the same rules you expect. If you do, your employees are more inclined to respect you. High performing companies have managers who focus on career development of their workers. Show a sincere interest in your employees. You’re more likely to build loyalty, which prevents a lot of issues – they include high absentee rates, poor productivity and morale issues. This means you’ll save a lot of time and money. As a manager, you owe it to your organization to help employees to grow professionally. Being ambitious is good, but make your expectations realistic. Set targets that encourage your employees to grow in informal daily expectations and in your formal goals. You can expect excellence. Communicate high but reasonable goals. In this way, you’ll breed confident employees. When they become more confident, they’ll be motivated for higher performance in the future. Don’t make the mistake of being inconsistent. You must give honest feedback on a regular basis. Whether it’s positive or negative feedback, employees must be apprised regularly. Employees need to know how and where they stand regarding their performance. Additionally, coaching is important for a higher-performing workforce. You will replace mediocrity with strong performance. So optimize your talent management. The most-effective managers are insightful about their employees. In other words, they’re employee-centric. Strive to understand your employees, if you want to motivate them. Find out their concerns. Learn what interests them. There are many things to learn – from what motivates them. It could be more flexibility to be with their families, money, recognition or a bigger office. There’s a correlation among excellent sales, happy customers, and high employee morale. Proverbially speaking, employees are where the tire meets the road. You’ll better know your options if you know them better. In fact, savvy employers know how to profit from their human capital. Such knowledge is a powerful weapon for high performance in a competitive marketplace. Why? You can even motivate employees to offer profitable ideas. 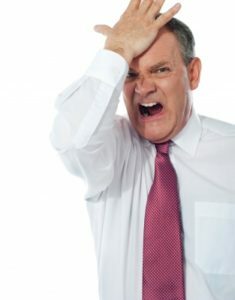 There are indeed 20 warning signs that managers are under-performing. Managers can often struggle whether they’re new or even if they’re experienced. Poor management, of course, leads to poor performance. As red flags, under-performing managers share common traits with their ineffective employees. Such managers aren’t fully aware of their employees’ and their own shortcomings. Even if they are aware of deficiencies, they’re afraid to admit it. Either way, nothing is done about the shortcomings. Accountability suffers. There are 20 typical warning signs. 1. Is your department underperforming? It can be attributed to ineffective management. 2. Are you getting positive performance reviews from your boss? If not, that’s an indicator. 3. Do you have a strong image ? If you don’t enjoy employee loyalty or if peers are snubbing you, those are omens. 4. Are you a stress carrier? Whether its personal stress caused by conditions at home or career challenges, it can adversely affect your work relationships. 5. Do you engage in self-doubt? Weak decisions prompt actions leading to poor results. 6. Do your employees communicate well with you? Sometimes employees are distant because they’re unhappy with your style. 7. Are you careful to surround yourself with great employees? You don’t want a lot of yes-people. You want thinkers who will take ownership of their work. 8. Are you clear with your expectations of employee performance? If you’re nebulous in day-to-day interactions, instructions or in formal reviews, employees won’t deliver. 9. Do you make good investment for short-term and long-term success? Whether it’s technology or human resources training, good managers take productive steps and make insightful investments. Poor management, of course, leads to poor performance. 10. Are you a go-to person? Does your boss look to you for solutions and projects, or are you overlooked? This means you’re not viewed as being a valuable resource. 11. Are you open-minded? Do you step outside your comfort zone? This means being able to be innovative and assertive, and you don’t settle for mediocrity. 12. Are you ambitious but disappointed with your career progress toward the C-suite? A manager who is good CEO-material has knowledge and ability in all areas of the business, not necessarily a doctorate-level expertise in any particular segment of the business. 13. Are you constantly looking for ways to improve? The best managers are voracious readers, and look for sources of good ideas and processes. 14. Do you instill a customer-focused organization? Task-oriented managers who are not focused on customer needs will not maximize profits. 15. Do you meet goals? If goals aren’t being met – whether it’s your department or your individual employees – performance will not been enhanced. 16. Do you have weak links on your team? It’s possible to have high-performing workers, but prima donnas are a liability if they don’t work well with others. 17. Are you ensuring company policies and values are upheld? If not the culture will be endangered and profits will suffer. 18. Are you on top of budgetary matters? In this business climate, it’s imperative to have a clear view of your department or company finances. 19. Do you regularly assess your business strengths, weaknesses, opportunities and threats? This is crucial for goal-setting and strategic planning. 20. 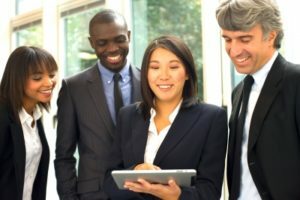 Do you recognize employee and company success? Celebrations are good for everyone’s morale. Human Resources – Power Your Brand with Employee Empowerment — Are you investing in marketing, but not getting the anticipated return on your investment? If you’re disappointed by your ROI, remember marketing may or may not be the problem. Why? Consider there are two basic reasons for poor profits — again, that’s profits not revenue. The reasons include failure to adapt to a dynamic marketplace and failing to solve the internal factors that impede the control of costs, performance and quality. Management Best-Practices Include Solid Operations Checklists — Are you concerned about profits? Would you like for your business to be in a class of its own? Not to oversimplify, obstacles to profits result from two basic barriers: External and internal challenges, or a combination of both. 15 HR Strategies to Improve Your Business Performance — Studies show many employees are dissatisfied in their workplaces. Employee dissatisfaction, of course, will adversely affect a company’s performance. The dissatisfaction is global and the trend is likely to continue unless businesses improve their approach.